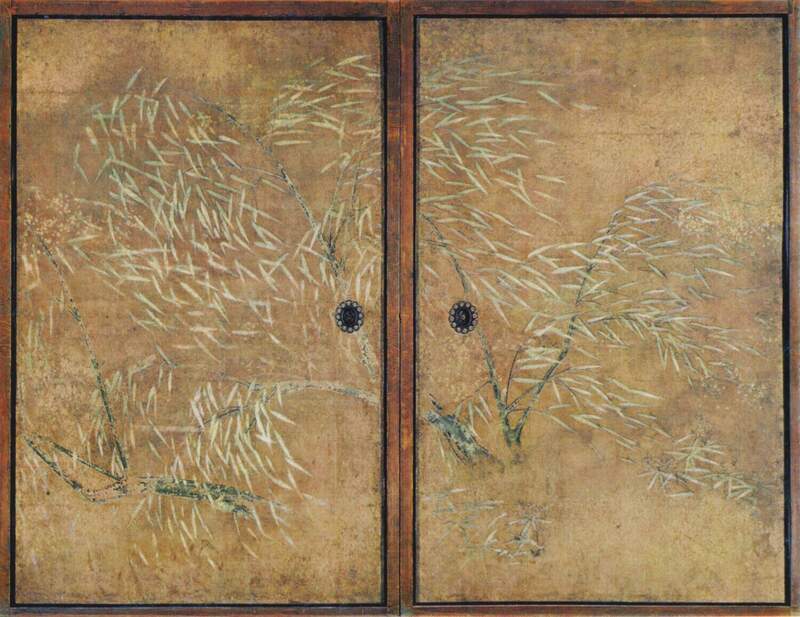 The Japanese artist Kano Eitoku (1543-1590) says much about the various dynamics of the Azuchi-Momoyama Period and the warlord Oda Nobunaga (1534-1582). This applies to the growth of Japanese art and culture despite the warring period that engulfed important centers of power concentration. Hence, while the blood flowed, new innovations and the growth of Japanese high culture continued to flourish. On the one-hand, Nobunaga was focused on power concentration and crushing all adversaries be they potent feudal lords or Buddhist forces; but on the other-hand Nobunaga was also focused on high culture and being open to enormous innovation. Therefore, Nobunaga was a natural patron of the highly esteemed Eitoku who enriched the Japanese art world. The cultural renaissance under Nobunaga meant that Eitoku was supported by one of the most powerful warlords in Japanese history. Indeed, the fusion of power concentration under Nobunaga and art became strikingly known in Azuchi Castle. This is based on the ceilings of this castle highlighting the art of Eitoku. Eitoku was born in the cultural and religious city of Kyoto and from birth, it became apparent that he was destined to be an artist of great ability. After all, he was the grandson of Kano Motonobu and art was part and parcel of his early upbringing. Throughout the artistic life of Eitoku, he equally understood the power concentration angle of his most famous patrons in Nobunaga and Toyotomi Hideyoshi. Hence, the military prowess of Nobunaga and Hideyoshi flowed with their cultural intentions of developing a new centralized Japan. Eitoku and other artistic individuals of great talents highlight the innovative nature of this period of Japanese history. Hence, the sword and the brush stroke became part of the centralizing forces that ultimately led to the Tokugawa Period and the developing process of Japanese high culture.